The Spark brings extraordinary theatre performances to children in their school hall. A new detective story for curious children and performance for your school hall. 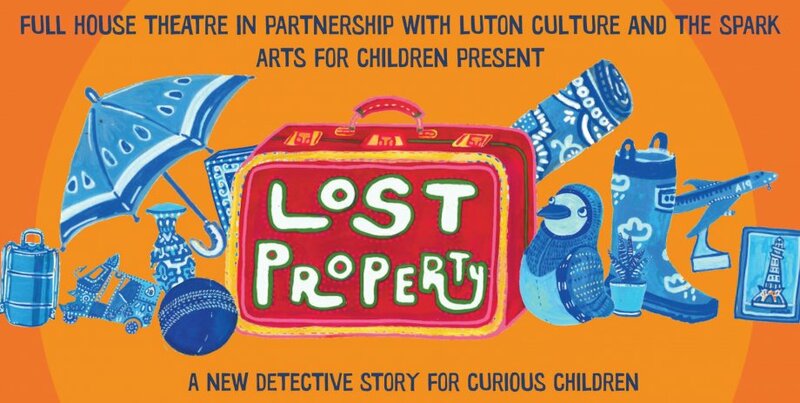 Join our little detective as she investigates the bits and pieces in her Lost Property Office. From suitcases to cricket bats, treasures come from Pakistan, England and all the places in between. This is a show about misplaced objects and the tales they have to tell. There's something for everyone in this Lost Property office of stories. Written by Yasmeen Khan. Following on from a sellout tour of the WW1 Play 'The First', Leicester & Leicestershire Libraries and The Spark Arts for Children are pleased to announce that the performance taking place in local libraries this Autumn will be the The Iron Man. A piece of theatre specifically made for library spaces, local and cross curricular learning. More details will be announced soon, please get in touch to express your interest in booking a performance for your school.